Past Thanksgiving Days for me are filled with family, feasting and football. It&apos;s a day set aside in our nation to pause and give thanks for the blessings in our lives. Although Thanksgiving celebrations are much different from the original 1621 harvest meal, one common denominator is the work it takes in preparation. What if I told you that you could indulge in an incredible Thanksgiving meal sans toiling in the kitchen and dirty dishes? Sounds divine doesn&apos;t it? Well, two places in Hendricks County will be open for Thanksgiving and would be happy to host your family&apos;s celebration. Court House Grounds located on the historic Hendricks County Square at 65 S. Washington St. in Danville is hosting their 15th annual Thanksgiving dinner. By reservation only, you can treat yourself to cuisine fit for a king served at 1 p.m. on Thanksgiving Day. Able to accommodate a table for one to a party of 10 and also offering carry out, Court House Grounds has created a delectable menu. Begin your feast with an appetizer of shrimp and grapefruit cocktail, followed by wild mushroom soup. A frisee, pear and prosciutto salad will grace your table before four main course entrees: Rock Cornish game hen with sage dressing, baked Virginia ham, roast duck in an orange sauce and roasted turkey with a lemon herb garlic gravy. Accompaniments include mashed potatoes with rutabagas and sauteed leeks, cranberry chutney and green beans with caramelized onions and blue cheese. You can choose to pair your meal with wine selections of Cabernet Sauvignon and Chardonnay Veo Grande, Chile. Rounding out your Thanksgiving feast is a dessert buffet of pumpkin pie, pumpkin cheesecake or carrot cake. 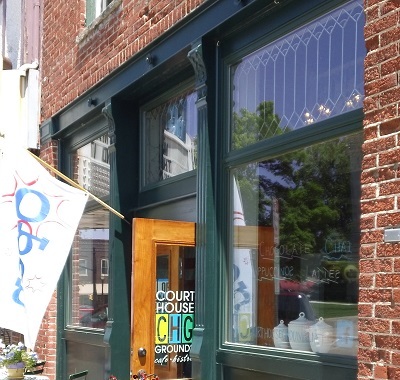 To make reservations, call Court House Grounds at (317) 989-1600. Cost is $45 for adults and $20 for children under 10. Wine selections are priced separately. Reservations are being taken daily and Court House Grounds will fill to capacity. 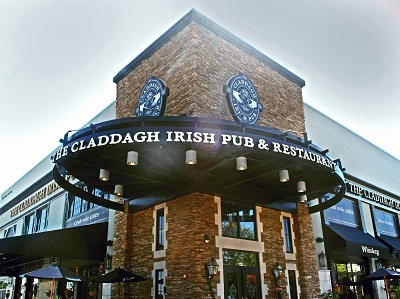 Claddagh Irish Pub,located at 2539 Futura Parkway in Plainfield, is also offering a traditional Thanksgiving buffet from 11 a.m.-6 p.m. Thanksgiving Day. If you&apos;re looking for home cooked turkey, dressing and all the fixings, Claddagh will be happy to serve you. Adult buffets are priced at $24.99 and children 5-12 $12.99. Children 4 and under are free. This year you can enjoy a savory Thanksgiving meal without all the fuss at these two Hendricks County restaurants. And from our family to yours, Happy Thanksgiving and bon appetit!